Super Dragon | Welcome to A.P.E. Bottom Heaters are necessary in Lead-Free rework to assist in keeping top reflow conditions to the original manufacturing oven temperatures. The Dragon and Super-Dragon can be used with Chipmaster systems. A heavy duty Bottom Panel Heater with a surface area of 12″ x 12″ (304 x 304mm). A Digital Closed-Loop Temperature Controller maintains the programmed temperature via two high capacity 1200 Watt heaters, making a total of 2400 Watts. This high energy feature enables a lower overall rework temperature to be applied to the work. 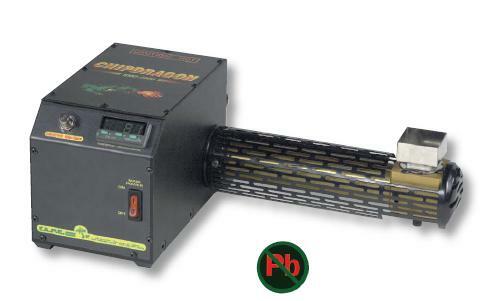 A Digital Closed-Loop Temperature Controlled Bottom Heater for use with the Chipmaster. Includes a self-contained blower unit for constant low-velocity, high-volume air flow. Temperature may be directly focused using standard nozzles, which are interchangeable. The system is fully guarded throughout the length of the heater arm.